Class 10 have been improving their basketball techniques during recent P.E. sessions. 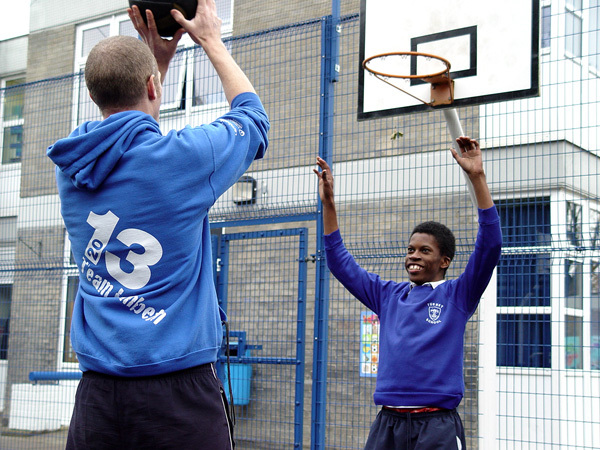 We are fortunate at Turney School to have a dedicated basketball court for the pupils to play upon. The pupils have been learning how some of the ball control skills that we need when playing basketball are very different to some other ball sports that we are familiar with. In particular the backspin that we need when shooting at the hoop is something that Class 10 have been perfecting. After a short warm up, we introduced the students to the idea of the Get Set shot. As the name suggests, this is a specific shooting opportunity when we have to set ourselves up for a winning basket. A good sense of balance, some shooting space and the ability to add some backspin are all-important. When the pupils felt confident with the Get Set technique, we then added in the idea of dribbling. We asked Class 10 to set up a short dribble towards the basket, and then to put in place the Get Set shot. We finished off our learning with the introduction of a friendly defender. We continued to dribble, and then when we reached the non-contact defender we knew that it was time to take our shot. Class 10 learnt that the use of backspin and shooting upwards could help us when presented with a defender. We can shoot the ball over the top of the defender by using the Get Set shot. 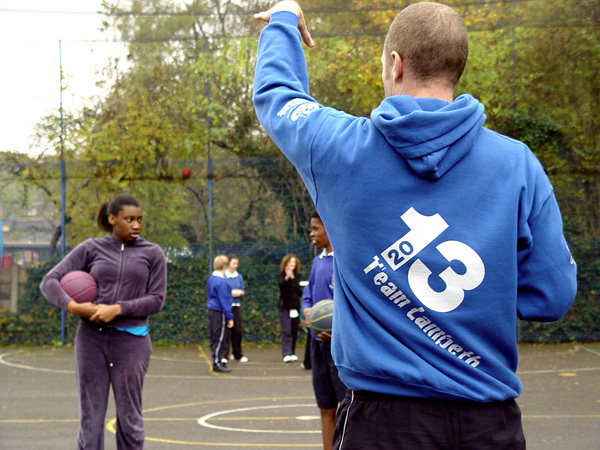 You can watch a short video from the Class 10 basketball session above.